Did your mother call you to tell you about that new miracle cure for Alzheimer's disease? Did your Facebook feed pop up with an article on a factory farm of pigs intended for human transplant harvesting? Did one of your friends breathlessly tell you that Sargento Cheese will kill you? You might have heard any or all of these stories, but there’s one thread connecting all of them: they’re not true. 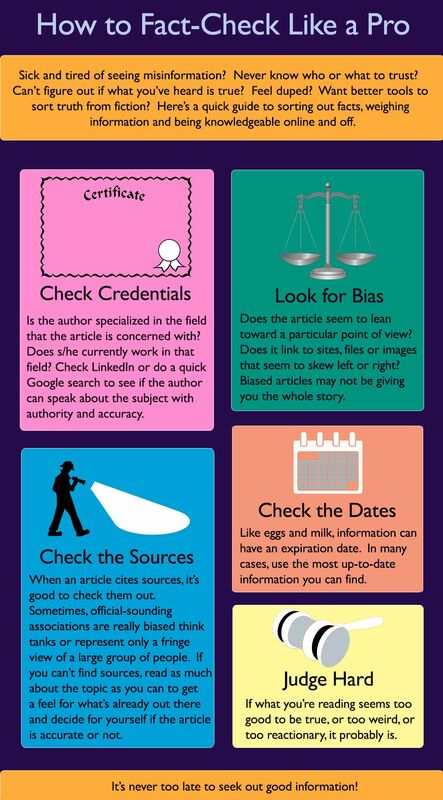 The ability to tell the difference between accurate and fake news is an important skill that you'll use for the rest of your life. 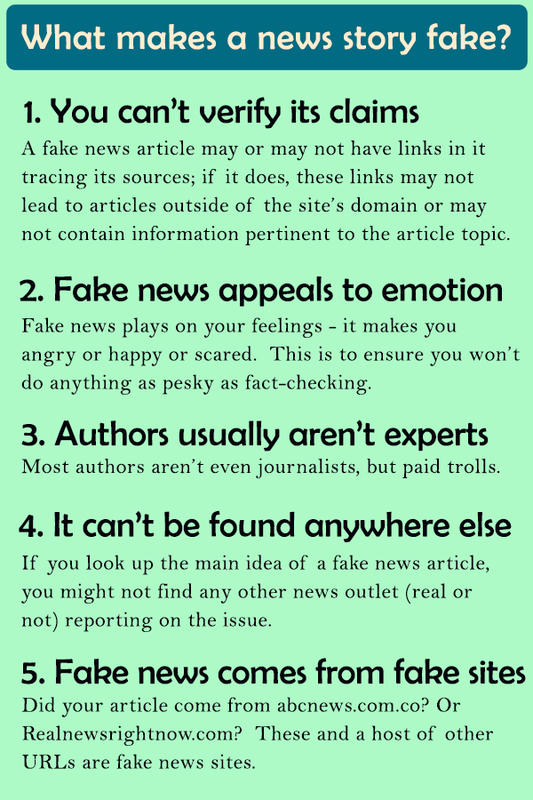 This guide will give you valuable insight in telling fact from fiction online. What is the source’s authority? Is it peer-reviewed? Is it objective or is it biased?